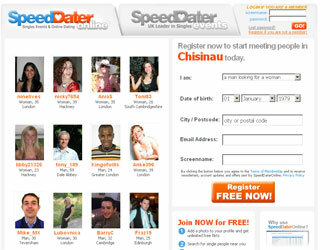 The speeddateronline.co.uk is a service which provides quick meetings and parties for single men and women. The website has been working since 2002 and has gathered 11.000 people registered on it. If someone wants to become a member of the speeddateronline.co.uk he or she should choose between free membership and premium membership. The first only gives access to the basic website features, while the premium membership grants access to such options as dating tips, success stories, newsletter, events calendar, testimonials, speed dating, search for events, profile rating, who has viewed me, chat rooms, email, and many more.